Five bushplanes and the places only they can fly. They fly over mountains, into jungles and deserts, and onto lakes, making their way through remote places that can hardly be reached any other way. Bushplanes first took to the air after World War I to transport people and cargo to roadless areas, or to explore where most humans had never been. 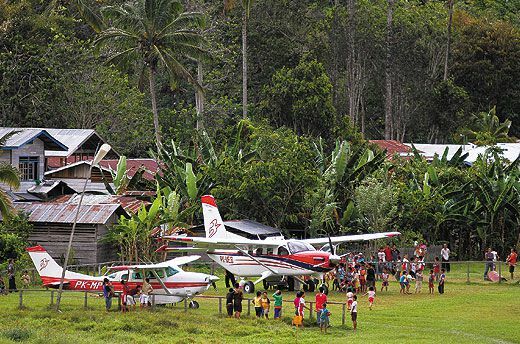 Today, these off-roaders of aviation provide disaster relief, ferry adventurers, and haul daily necessities to isolated communities. 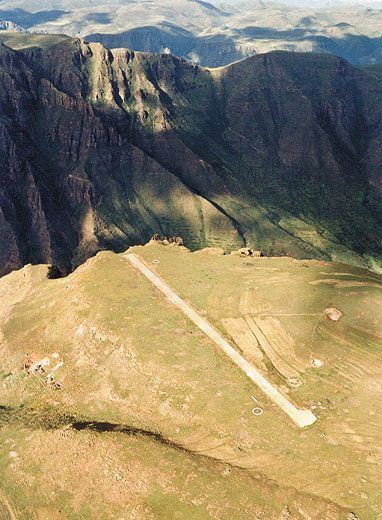 Their pilots have to contend with short, rough landing strips and animals straying into their paths on final approach. 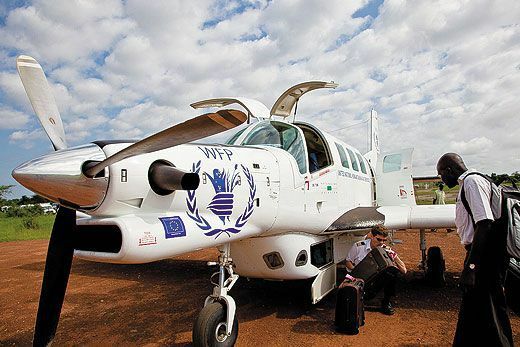 They land where there are no spare parts or emergency supplies. 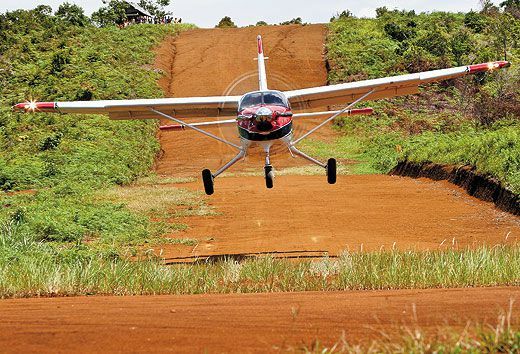 But to pilots that’s the appeal of bush flying: no two runs are quite the same. In 1935, Dutch aircraft designer Robert B.C. 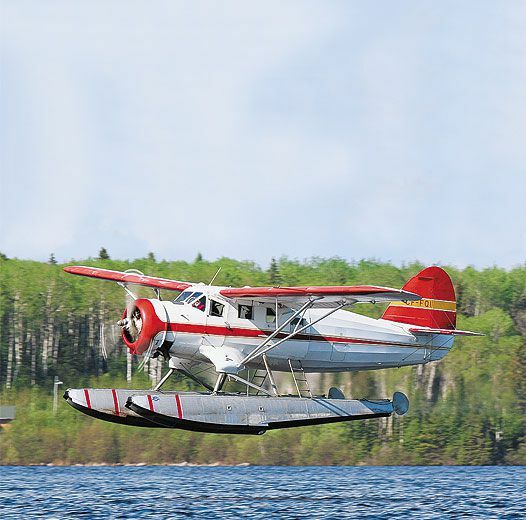 Noorduyn custom-built an airplane for pilot Hugh Carlson of Viking Outpost in northern Ontario, Canada. In truth, Carlson wouldn’t be born for another 12 years, but when Noorduyn created the airplane, he had a pilot like Carlson in mind. 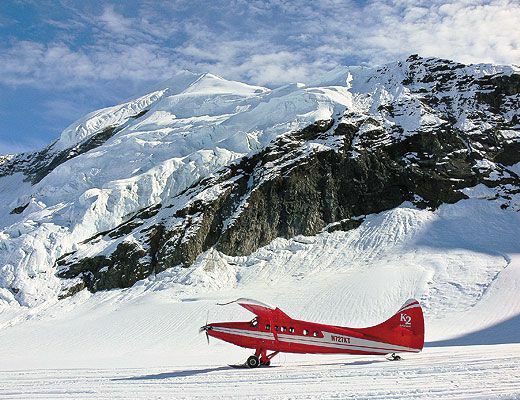 Noorduyn, who had worked for Fokker, Bellanca, and Pitcairn, started his own company in 1933 to build an airplane ideal for the Canadian outback. To get it right, he asked bush pilots what they wanted. 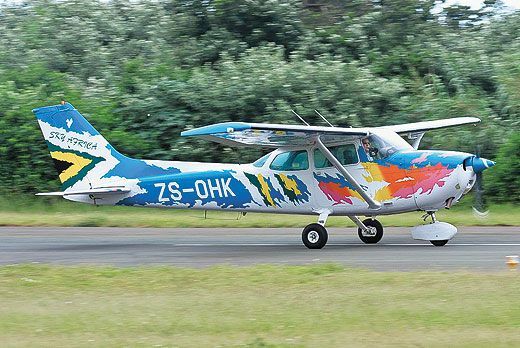 For starters, they told him, the airplane should have high wings and four doors, two on each side (for ease in loading cargo and passengers). It had to be adaptable to floats, skis, or fixed landing gear. It needed the capability to carry large loads. It had to be strong enough to withstand rough water on lakes in summer or to plow through snowdrifts in winter. And for those endless winters, it needed an insulated cabin and heated cockpit. The result: the Noorduyn Norseman. Though designed as a bushplane, the Norseman was widely used as a transport for the Allies during World War II. (Big band leader Glenn Miller was aboard one on assignment for the Army Air Forces band when he disappeared over the English Channel in 1944.) By the time production ended in 1959, a total of 903 Norsemen were built. Fewer than 50 are still flying, 37 of them registered in Canada. The airplane’s nine-cylinder, 600-horsepower Pratt & Whitney radial engine rumbles like a gang of Harleys. It’s the same engine as that on the de Havilland Otter, but because the Norseman uses a direct drive to turn the propeller instead of a geared system, the engine has been more reliable on Noorduyn’s design. “They had a lot of engine failures,” Carlson says of the Otters, which is one reason those airplanes were converted to turbine-engine power. Red Lake, about 280 miles north of International Falls, Minnesota, lies at an elevation of 1,200 feet. “You get 300 feet above that and you can fly for hundreds of miles in any direction and not hit a thing,” Carlson says. To land, all he has to do is pull back on the power about 10 miles from touchdown, “and as long as I don’t hit an island, it’s a perfect landing every time.” Carlson remembers flights on calm mornings, when the lakes gleamed like mirrors and he managed to land a planeload of sleeping passengers without waking any of them.